At NextDayFlyers, you can get quotes in real time. All our product pages have an online calculator that lets you see quotes instantly. 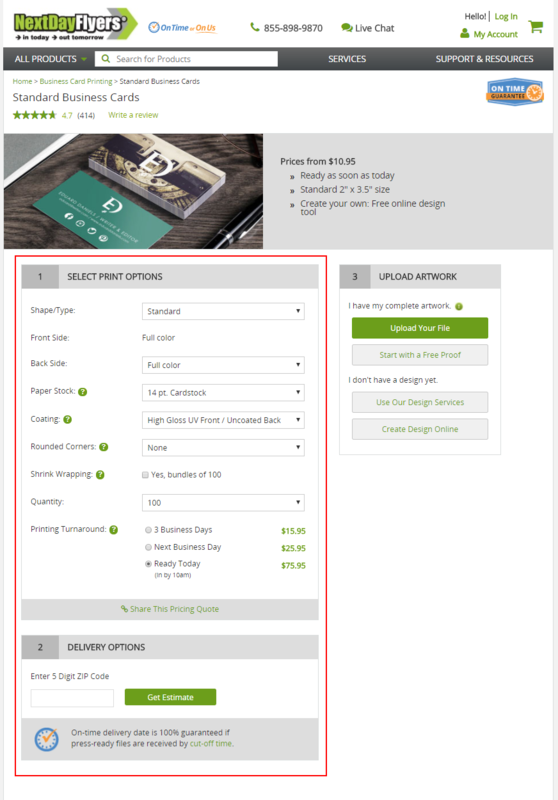 As you select your product options, the final printing cost changes to reflect the selections you make. For custom requests, our Instant Custom Product Calculator works the same way to give you a quote as you need it. You can also call us at 855-898-9870 or contact us through Live Chat to ask for a quote. Once an order has been placed, a summary of your quote can be accessed by logging into your NextDayFlyers account.